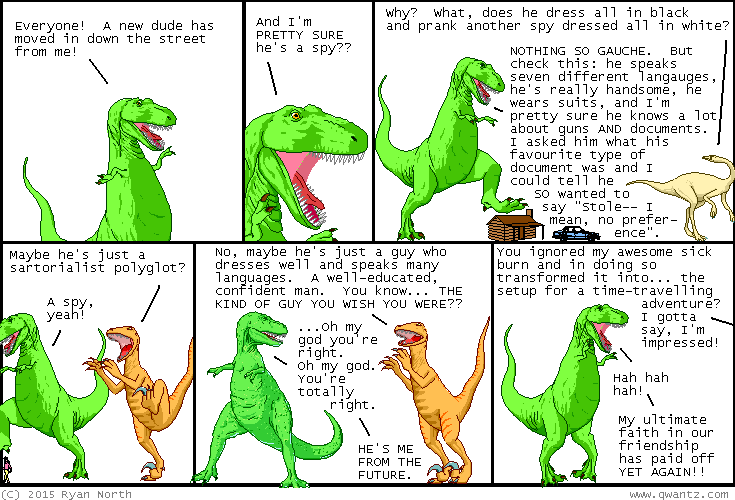 Dinosaur Comics - February 26th, 2015 - awesome fun times! February 26th, 2015: BASED ON A TRUE SPY?? I'LL NEVER TELL.